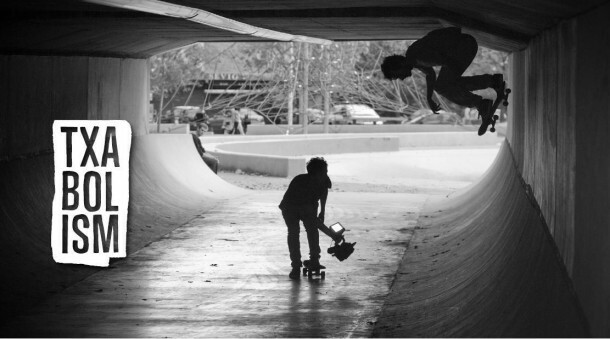 To welcome Javier Mendizabal to Converse Cons he worked with his long time friend Fred Mortagne to produce Txabolism. A little film inspired by the creative partnership they’ve both shared for many years skating and filming all over the world together. The name Txabolism comes from another old friend of Javier’s, the artist Fernando Elvira. They used to travel and hang out a lot when Javi first started skating and Fernando published his first skate photos in 360 Magazine that he used to run. It was on these small budget travels, often sleeping rough where the nickname Txabolo was first attached to Javi. Txabolo is Spanish slang for a shack built from junk found in the street, and Javier and Fernando spent time living in one while homeless in Hawaii many years ago. Javier chose the name Txabolism as a way of saying thank you to his old friend for the inspiration to live out his creative passions today: skateboarding, travelling, making art and shooting photos. Stay tuned for more from Converse CONS Skateboarding in South Africa as the local skate program unfolds over the coming months.